With a huge crowd of Mescalero Lady Chiefs basketball fans filling the Dreamstyle Arena, a.k.a. The Pit, our ladies took the 2A Girls State Basketball Runner Up trophy. Either outcome, we are ecstatic of the ladies accomplishments! 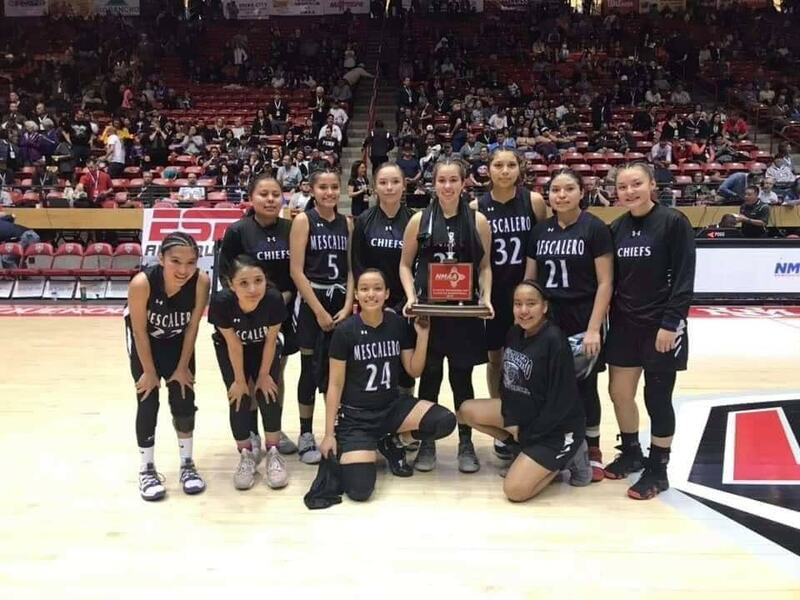 This team is the first to take Mescalero to the New Mexico State Championships and they did so with grit. With multiple upsets as the ladies climbed the ladder to the championships, one of the biggest was defeating No.1 Texico in the 2nd round of the State tournament. Not to mention, making school history being the first team to play in the State Championships! Needless to say, we are very proud of these young ladies on a job well done and blazing the trail for generations to come – you are examples of hard work and dedication. We also recognize other supporters of Mescalero Lady Chief basketball across Indian Country and we thank you for showing support! There will be a celebratory parade tomorrow, March 19th at 4:30 pm along the Mescalero Parade Route (same as 4th of July Ceremonial). 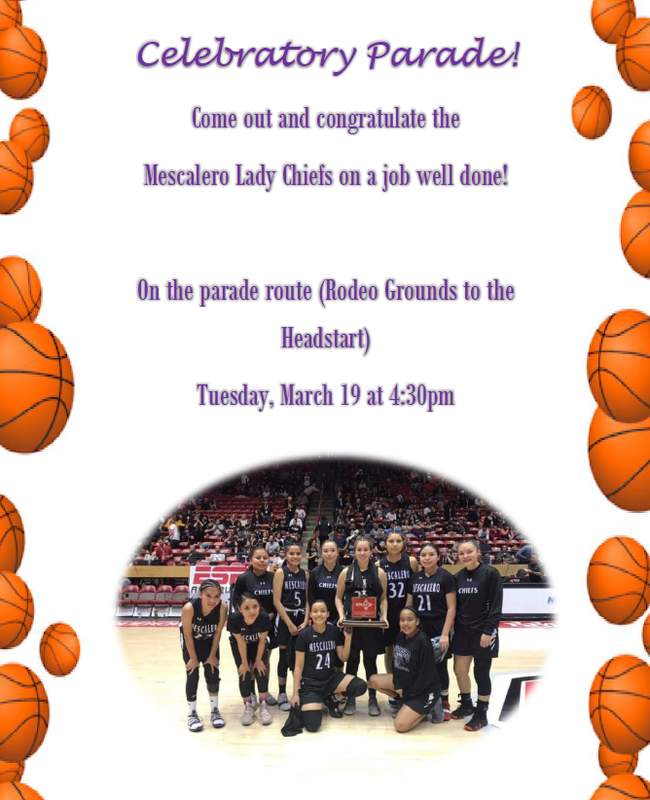 We invite all fans, supporters, friends, family and surrounding communities to show their support and help celebrate the Mescalero Apache Lady Chiefs team.